There are no concrete plans of production for the Porsche 911 Speedster Concept yet, but there's rarely anything more beautiful in the world of motorsport than a thoroughbred Porsche. Remember days, when the only talk about a car was about its bewildering powertrain, or mind-boggling aerodynamics? Those days are long gone now, and even the purest breed of supercars nowadays come with an overwhelming array of technology inside - systems that recognise terrains automatically to adjust steering feedback and suspension balance, actively vector brakeforce to all four wheels, and even multi-speaker audio systems that keep you pumped as you dance down corners of tracks. 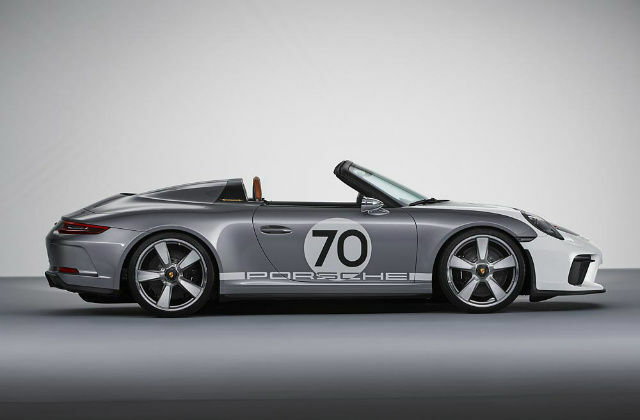 The Porsche 911 Speedster Concept, unveiled to celebrate 70 years of Porsche's motorsport heritage, is none of that. What, then, makes it so special that a company as iconic as Porsche decided to unveil this as part of its seven-decade-long heritage? It is this very factor, the lack of any form of refined, soft-peddling technology and an audacious emphasis on form and performance, that makes the Porsche 911 Speedster Concept worthy of making to production. The Porsche 356 Roadster, nicknamed 'No. 1', was the first of the lot to have received operating permission back on June 8, 1948, and has spawned much of today's motorsport design and DNA over the last 70 years. Today, the 911 Speedster Concept looks very different from anything else, and yet, very similar to Porsche's present track-day specials like the Porsche 911 GT3 RS. The chassis comes from the 911 GT3, which retains the core characteristics of the car. However, it gets a shorter window frame with a more inclined windshield and shorter side windows, hence producing a much lower fly line and a stockier overall profile. 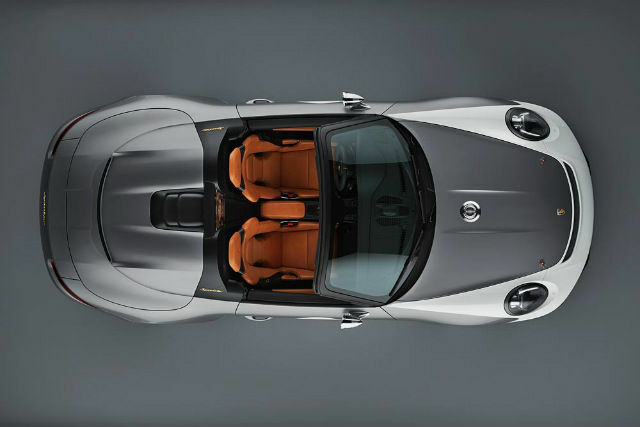 The rear of the 911 Speedster Concept gets a traditional 'double bubble' design, connecting to the cockpit with a carbon fibre cover and a rollover protection structure. This double bubble rear design is iconic to the 1988 Porsche Speedster, functioning as a sentimental design element as well as enhancing durability with a transparent Plexiglas layer. The stocky body design is taken from the Porsche 911 Carrera 4 Cabriolet, but to increase its performance quotient, every component is made to shed weight from the car. As a result, you get carbon fibre wings, the front bonnet and front panels, and the rear cover. 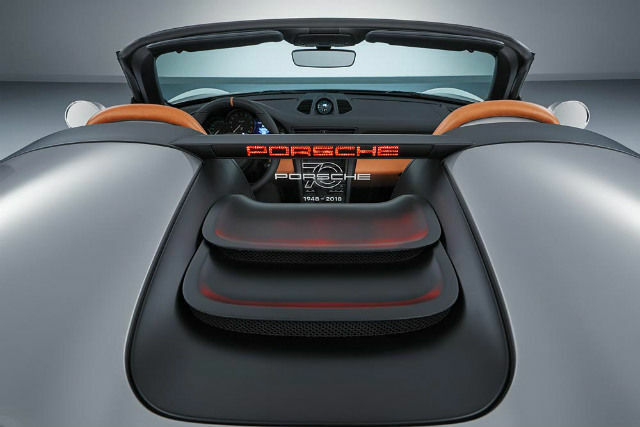 Instead of a traditional convertible top, the 911 Speedster Concept includes a lightweight tonneau cover and attaches to the front edge uses eight Tenax attachments. 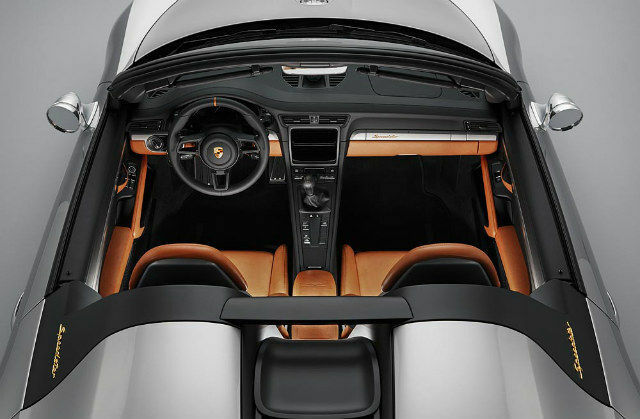 Inside the cockpit, the 911 Speedster Concept includes full carbon bucket seats, and does away with all standard equipment like navigation, the infotainment radio and even air conditioning. 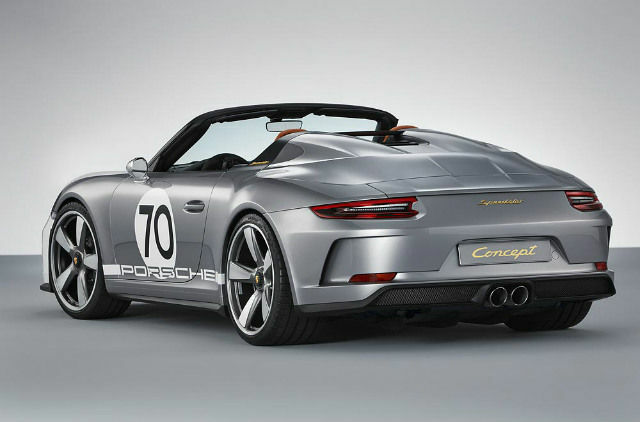 Design-wise, there are multiple cues that hark the Porsche 911 Speedster Concept back to the old speedster days. These include Cognac 356 Aniline light brown leather on the seats (yet another classic throwback to the 356), traditional GT Silver and GT White paintwork from Porsche's first racing cars, the metal fuel tank cap placed at the centre of the front bonnet like back in the '50s, the rounded Talbot-shaped classic external mirrors and Porsche's traditional circular headlamps that here feature opaque inserts within the glass to replicate the taping that used to be done on the headlamps to prevent damage once upon a time. It also gets 21-inch alloy rims with contrast-schemed high gloss Fuchs design, and titanium tailpipes with the exhaust system. All of this is topped by the straight-six engine that produces over 500 bhp and revs all the way up to 9,000 rpm, and is mated to a six-speed manual gearbox. It all screams out-and-out driver emphasis, and is a fitting tribute to Porsche's excellence on track. 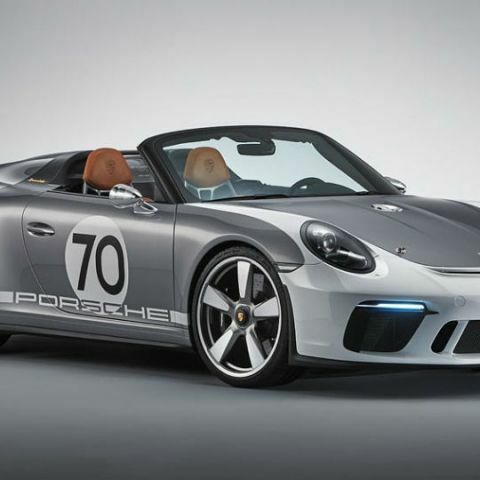 The Porsche 911 GT3, which the 911 Speedster Concept is based on, has been a legend on track. The 911 Speedster Concept aims to be a limited edition version of that, fusing the glory of the Speedster in a bit of modern-day engineering precision to create something that you wouldn't really see that often. It is this that also makes it special. Requirements to start a Tech blog? How can we use the cloud computing concept? Why do i have the hand with pointing finger, all of a sudden, instead of the arrow pointer? What is it called to take all the email addresses from a website? Want to know if my idea is of any worth.. Please list all the cons..